One of the most highly anticipated battles of the year, the FIM Supersport World Championship is set to go down to the wire in Qatar, as the title fight comes down to just two riders: Sandro Cortese (Kallio Racing) and Jules Cluzel (NRT). Hosting the traditional season closer, Losail International Circuit is used to seeing some stunning battles on track, and is the perfect setting. With its fast corners and overtaking hotspots, the 5.6k circuit is set to set the world alight as six points stand between the duo and the crown. Fully charged and ready for the battle, Jules Cluzel won’t be going down without a fight in Qatar, and showed his desire to take the win last time out in Argentina. Winning the race in dominant style, his emotions were clear from the moment he crossed the line, and the three time WorldSSP runner up has been calling on his fellow competitors to help him this weekend. Racing in the class for six seasons, he is the ‘nearly-man’ and will be putting everything into becoming the ‘winning man’. Taking pole here in 2014, the Frenchman is yet to win at Qatar, and will be pushing to do so this weekend. With seven podiums and five wins to his name this season, he will be ready to take the battle right to the final turns. Elsewhere on the WorldSSP grid, GRT Yamaha Official WorldSSP team-mates Lucas Mahias and Federico Caricasulo will be pushing to end their season on a high after a recent surge in results for the pair. Aiming for the teams world title, the duo will be focusing on their own races and will be hoping to both cross the finish line after some bad luck in recent rounds. But the season’s underdog Raffaele De Rosa (MV Agusta Reparto Corse by Vamag) has impressed all season with his consistent run of podium finishes. But this has dropped off in recent rounds, meaning the Italian will be looking to take home one more trophy to top off a strong season. With six podiums in a row, he has been unable to break the second position duck, but he has been the only man to challenge the Yamaha’s this season. Sitting in sixth in the championship standings, he will be pushing for that top five to end the season on a high. Don’t miss out the battle for the world title, which concludes at 17.30LT (GMT +3) on Saturday 27th October, for what will be a 15 lap thriller. 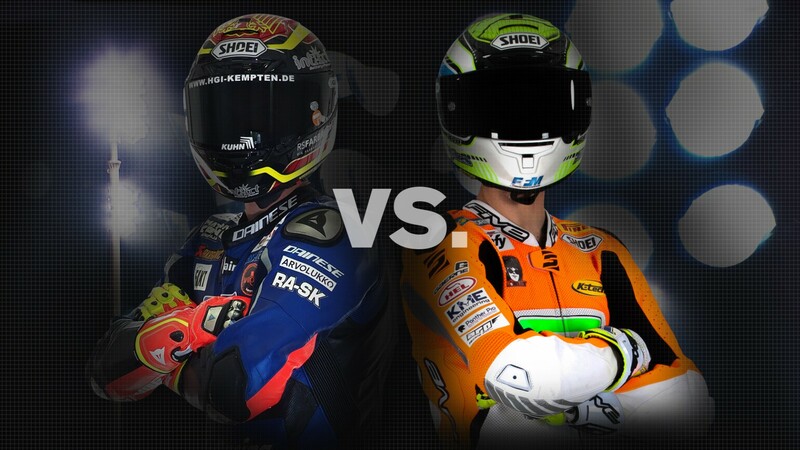 Will it be Cortese or Cluzel? Find out with the WorldSBK VideoPass, live from Qatar.